Scroll down to see some of the behind-the-scenes images taken during the shooting of these commercials. To see Part 2 of our behind-the-scenes images, CLICK HERE. 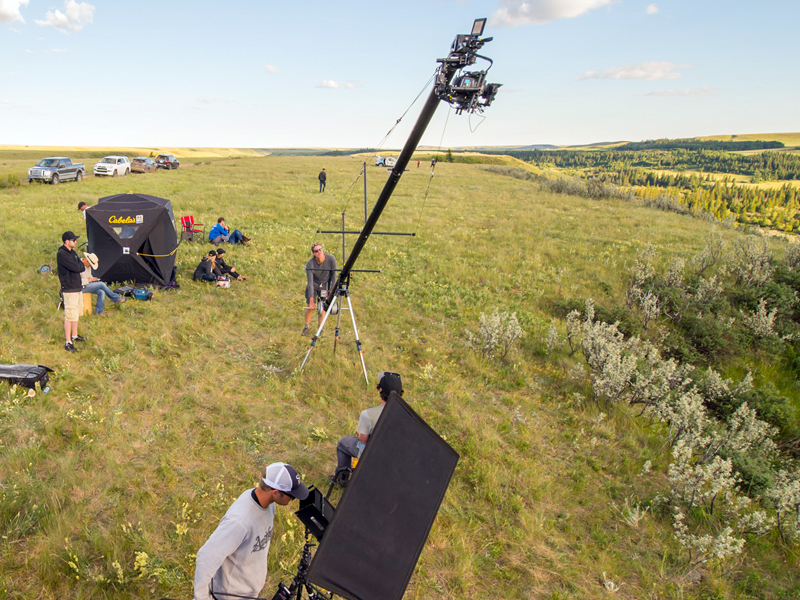 For the actors appearing in commercials or TV series or movies, a great deal of time is spent waiting patiently for the camera crew to set up and prepare for the time they say "Action!" Above we see our young actor just waiting for her cue. And, in this shot from the final commercial, she was ready to go when the director shouted "Action!" 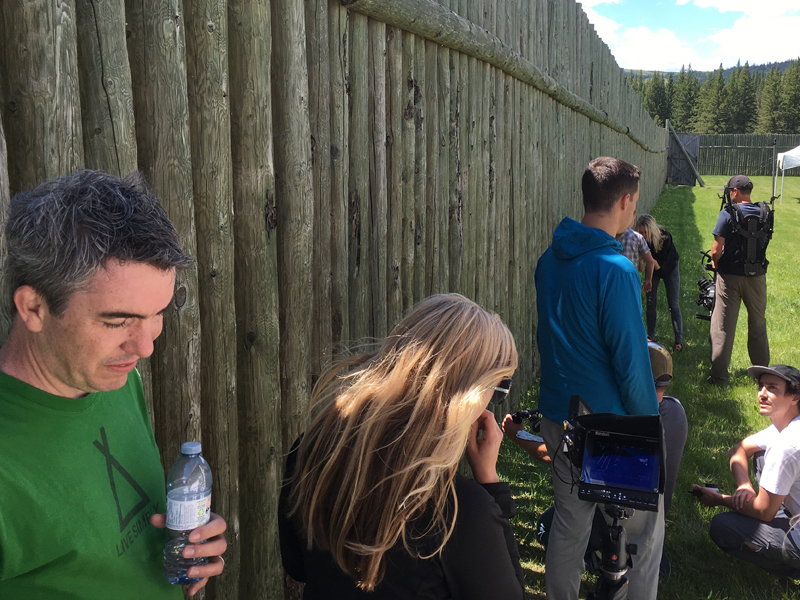 The clients and crew - including Jonathan Potts (left, in green), the Executive Director of Marketing and Communications at Tourism Saskatchewan - set up for a shot of our young actress running along the fence at historic Fort Walsh. 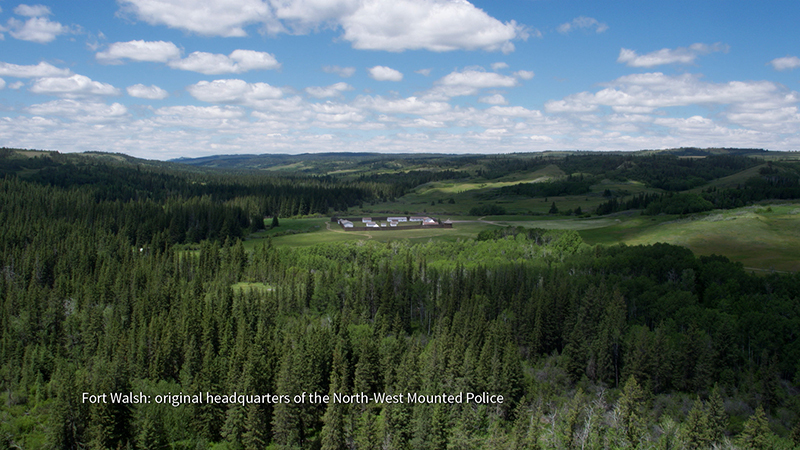 Above is how that shot appears in the commercial. 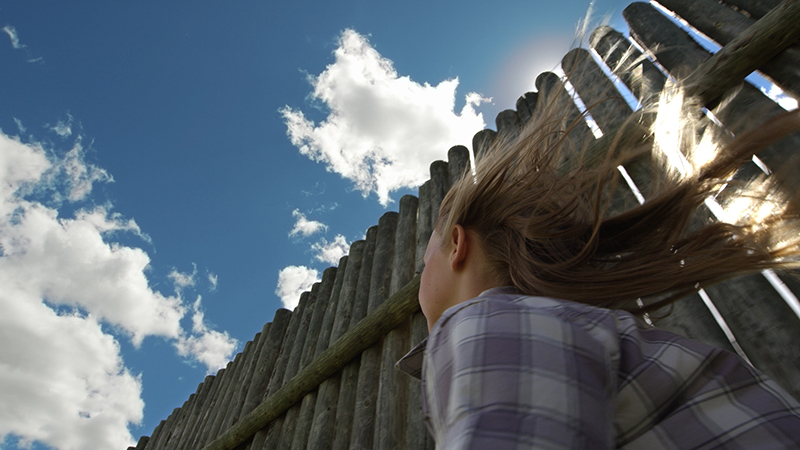 On this day, we were filming in and around the historic site of Fort Walsh, Saskatchewan, with many of the shots involving our family on horseback. 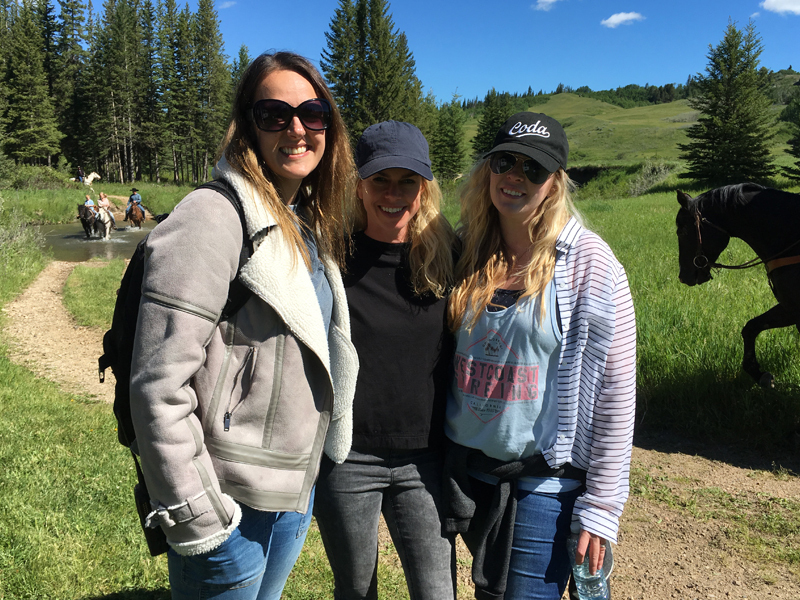 Java Post Production producer Crystal Van Pelt (left), wardrobe supervisor Nadia Williamson, and hair/makeup artist Krista Stevenson are on hand to get the actors ready for the scene. 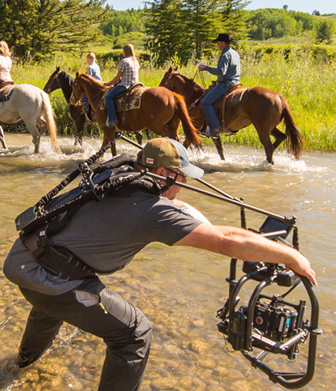 Co-director and co-director of photography Greg Huszar (wearing the camera rig) and his camera assistant stand ankle-deep in a stream to get a shot of the family riding their horses through the water. 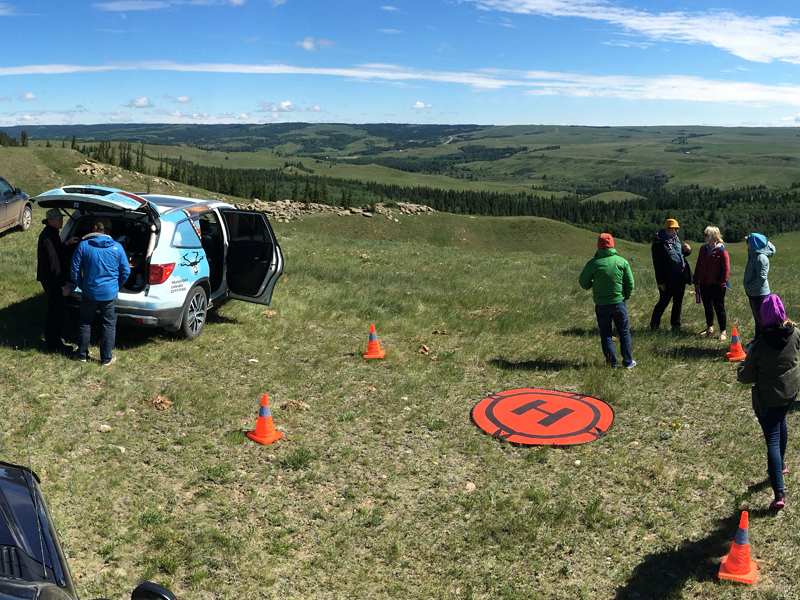 Behind the camera, other members of the crew use a large reflector board to bounce sunlight onto our actors, while our sound person, John Bjerke (far right), captures the splashy audio. 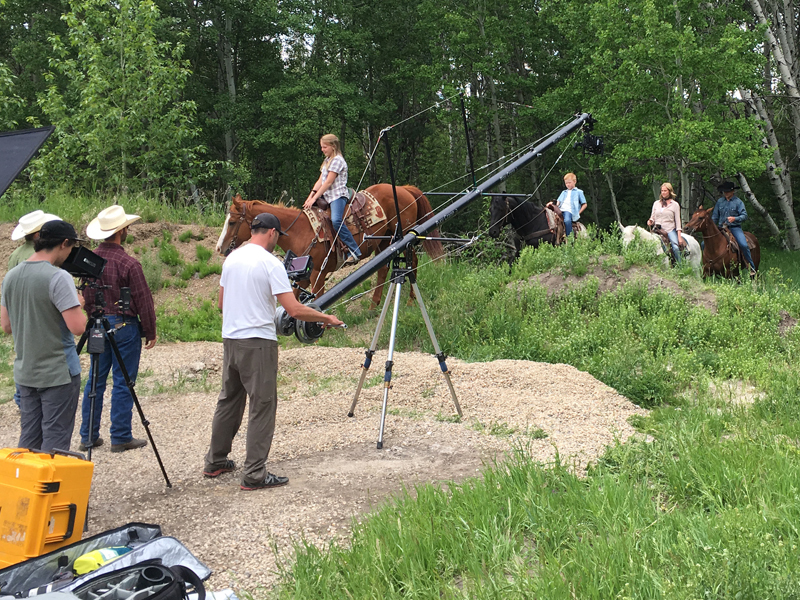 For a shot of our family emerging from the woods, a camera crane is utilized. 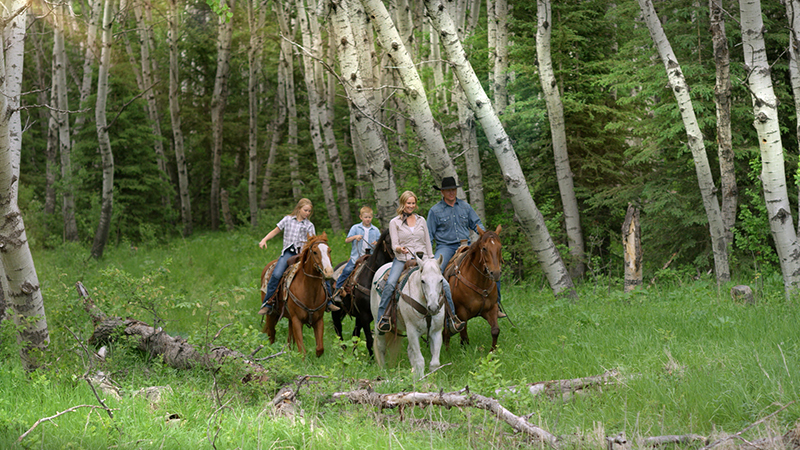 Above is the image of this scene from the finished commercial. 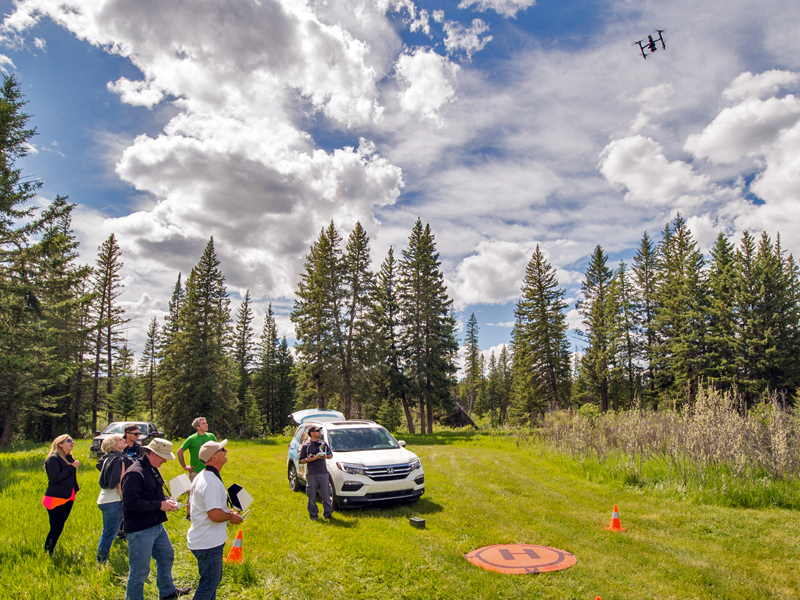 For high overhead shots of our family on horseback, the Java Post Aerial Photography crew launches its drone. 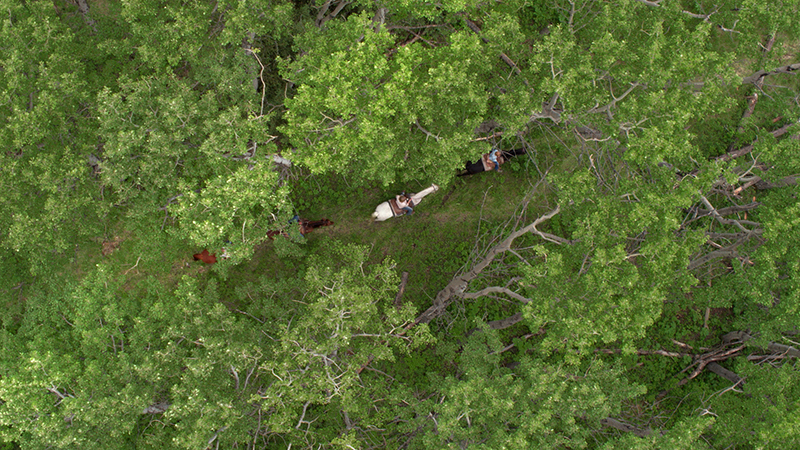 And above is the drone's-eye view of the family riding through the forest. 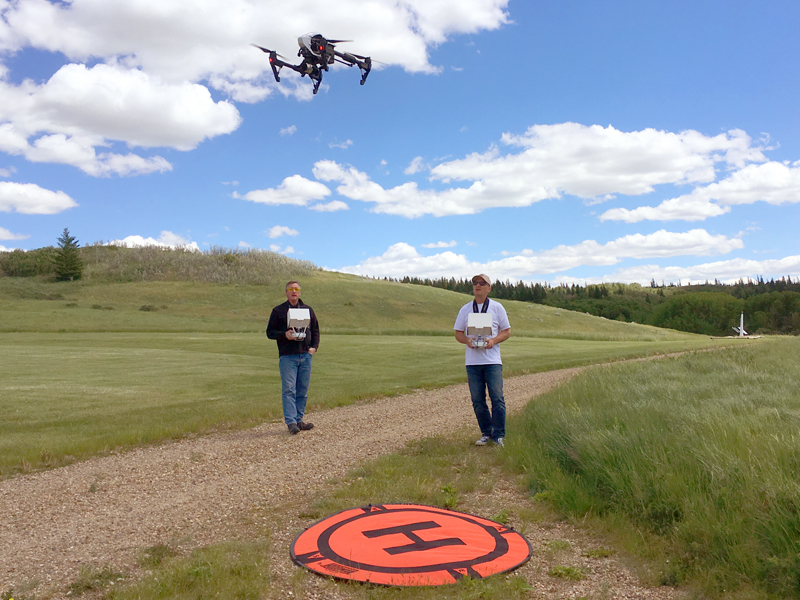 Java Post Aerial Photography camera operator Trevor Bennett (left) and pilot Jack Tunnicliffe also used their drone photography skills to record aerial shots of Fort Walsh, as seen below in a shot from the finished commercial. 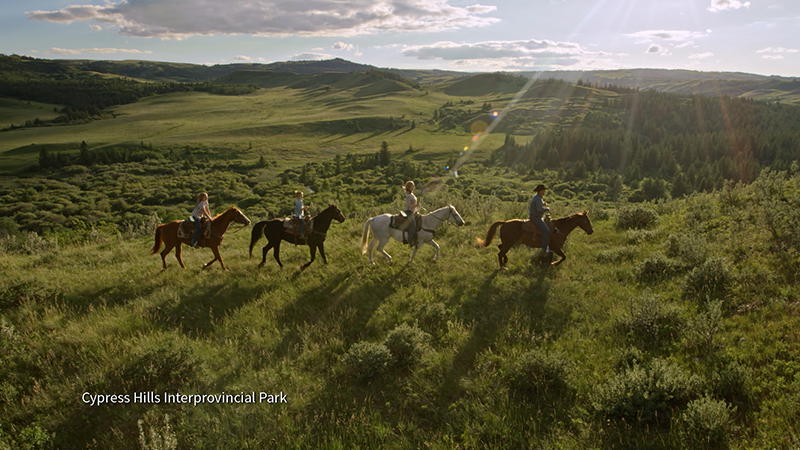 Moving to a different location, the Java Post drone was also used to capture a wide, cinematic shot of our family riding across the Saskatchewan landscape, as seen below. 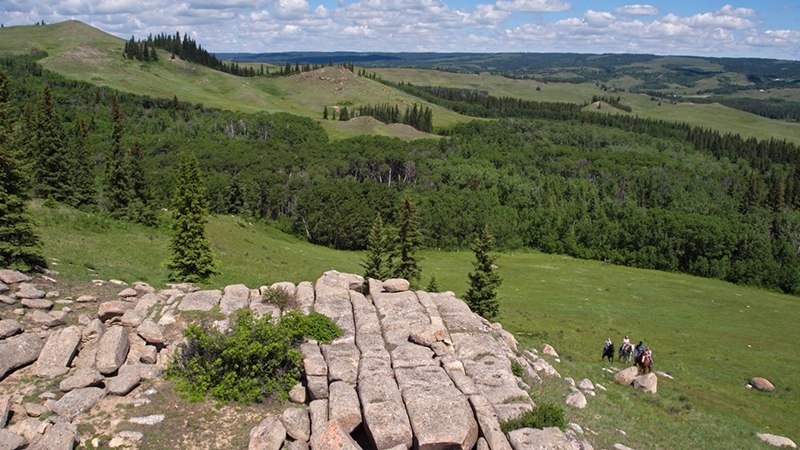 We even used a camera on horseback to get a rider-point-of-view shot. 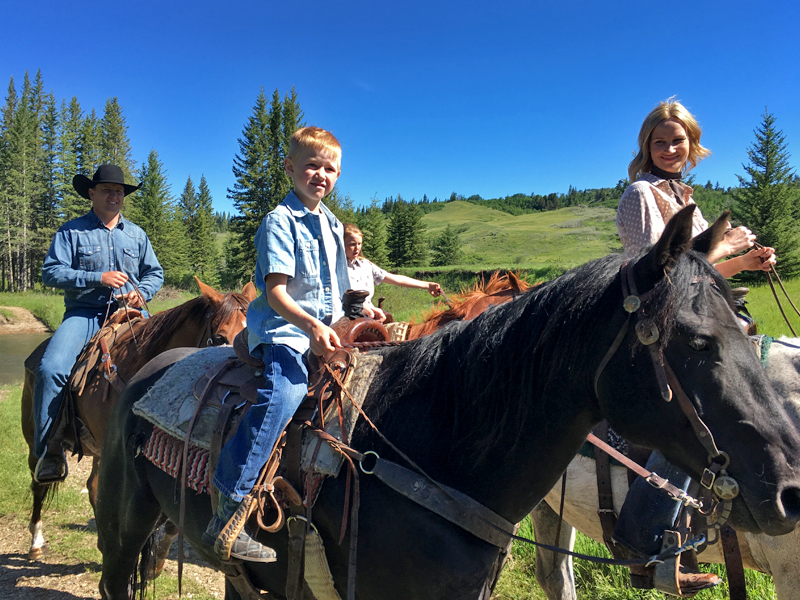 Because our photographer couldn't use his hands to control the horse, one of the professional horse wranglers held onto the reins and ducked down so he wouldn't be seen by the camera. 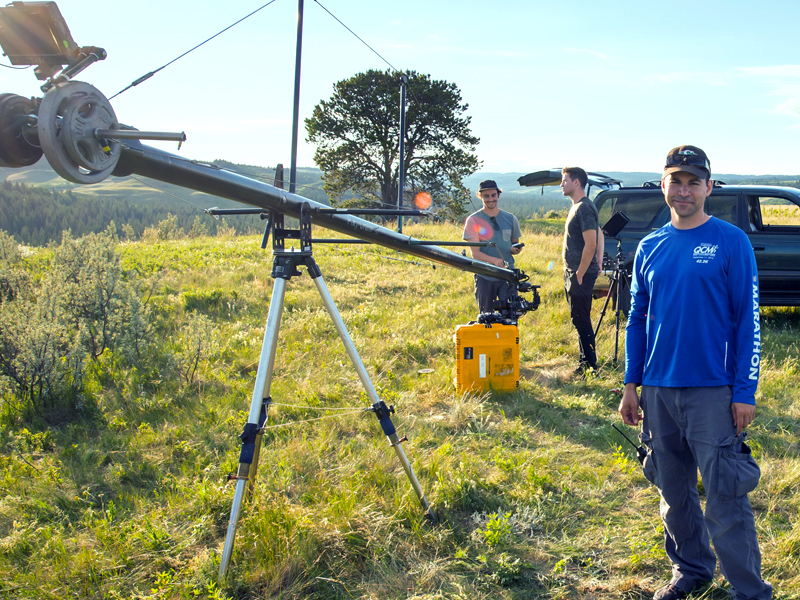 Java Post Production managing producer, Randy Shumay, stands beside the camera crane to be used in the next shot. The camera crane is hoisted high to capture the last shot of the day. And here is how that shot appears in the finished commercial. 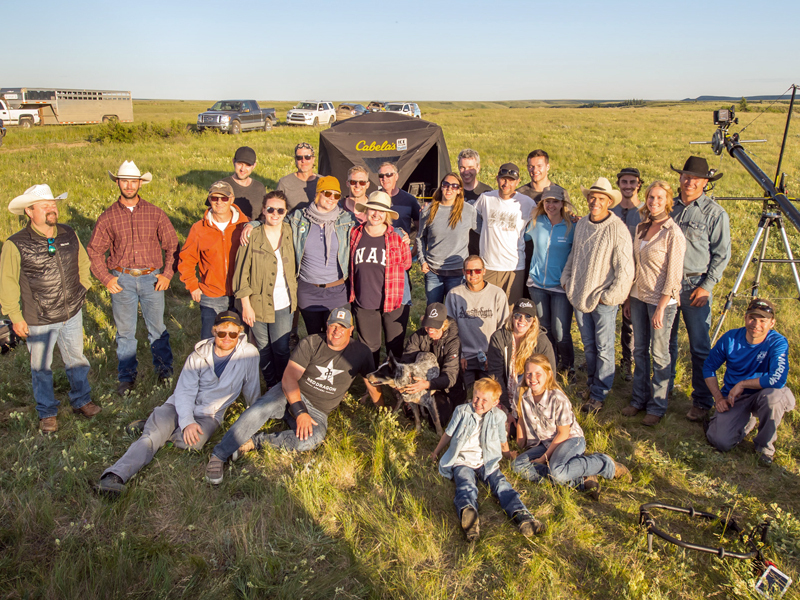 With one shooting day under their belts, the crew gathers for a group photo. To see Part 2 of our behind-the-scenes images, CLICK HERE.